Dierksen Hospice is thrilled to announce that it was awarded 2018 Hospice Honors! 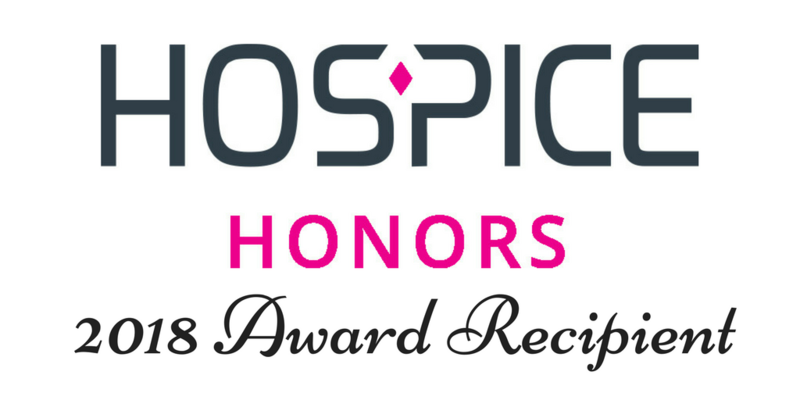 Hospice Honors is a prestigious national program from HEALTHCAREfirst that recognizes hospices providing the highest level of quality as measured from the caregiver’s point of view. Learn more. Welcome to Dierksen. We hope you will find the information you are looking for and resources that will support your healthcare needs. Whether you are living with an illness, you’re a family member supporting a loved one, a healthcare professional, or an interested volunteer, ideally this site will provide some of the answers for which you are searching. We encourage you to call or visit one of our offices to get more information. We work every day of the week, and we are happy to schedule an appointment to visit with you day or night to discuss the services we provide. It’s important for Dierksen to be responsive to your needs and we are committed to helping you whenever you need us. I founded Dierksen in 2006 with my two children on the heels of the death of my husband, Lester Dierksen. We know you are looking for trusted healthcare professionals to care for someone that is important to you. No request is too small, and no health need is too large for our specialized staff to address. If you give us the opportunity to serve you and we don’t exceed your expectations, please contact me directly. Your feedback is essential to us and vital to the service we provide to future patients, families, and healthcare professionals. It is our family’s wish to care for our community with the same compassion and dignity we would provide to our own families.